Born: 12th March 1946, Los Angeles, California, U.S. 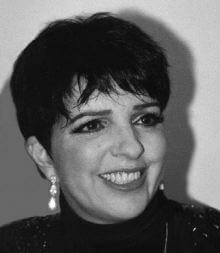 Quotes about Liza Minnelli: After she collected the 1972 Best Actress Academy Award, Marlene Dietrich talked defiantly about her maternal comparisons saying: "I'm annoyed when people keep comparing her to her mother. She's nothing to do with her mother. She's a completely different woman. The film "Cabaret" is a great hit for her and that's all one wants"
The critic Ben Brantley was moved say this about her thespian honesty: "Her every stage appearance is perceived as a victory of show-business stamina over psychic frailty. She asks for love so nakedly and earnestly, it seems downright vicious not to respond"
The movie critic Roger Ebert described her performance in "Cabaret" as quite riveting: "Liza demonstrates unmistakably that she's one of the great musical performers of our time. 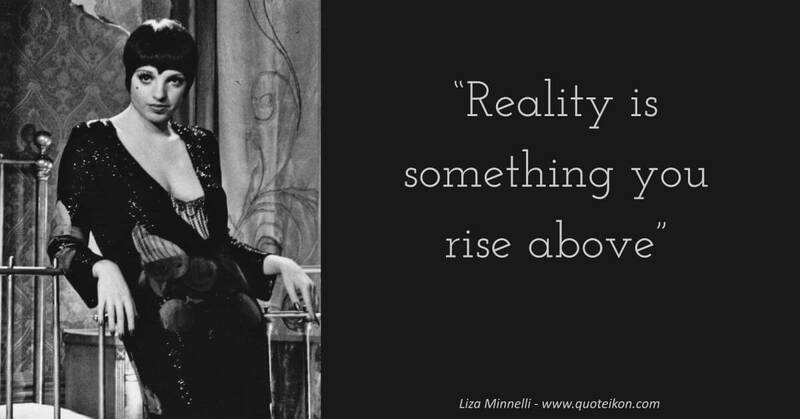 But the heartlessness and nihilism of the character is still there, all the time, even while we're being supremely entertained"
"Reality is something you rise above"
"They used to have clauses and contracts where you can't get bad publicity or you'd get fired. But now bad publicity is good publicity. I just keep working and don't think about it much"
"Don't listen to anyone who doesn't know how to dream"
"It was like Mama suddenly realized I was good . . . One minute I was on stage with my mother, the next moment I was on stage with Judy Garland"
"One minute she smiled at me, and the next minute she was like the lioness that owned the stage and suddenly found somebody invading her territory. The killer instinct of a performer had come out in her"
"It was no great tragedy being Judy Garland's daughter. I had tremendously interesting childhood years - except they had little to do with being a child"
"I came out of the womb looking for the camera angle"
"The regrets of yesterday and the fear of tomorrow can kill you"
"I have no right to change her fulfillment into my misery. I'm on my own broom now"
"There are so many girls, and so few princes"
"My mother gave me my drive but my father gave me my dreams"
"All drunks go to heaven, because they've been through hell on Earth"
"I would rather present a first-rate version of myself than a second-rate version of Mama"
"You don’t know how to handle anything today, because you have to go to jail to get some press or fall down drunk"
"I have the best taste in friends and the worst taste in husbands"